Dr. Cy is a native of Grays Harbor, WA. After graduating from Aberdeen High school, heearned his Bachelors degree in Biology from Central Washington University in 1996. 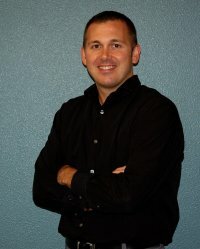 He continued his post-graduate studies at Western States Chiropractic College where he earned his Doctorate of Chiropractic in 2000. After graduation he joined City Chiropractic in Portland, OR where he enjoyed five successful years. 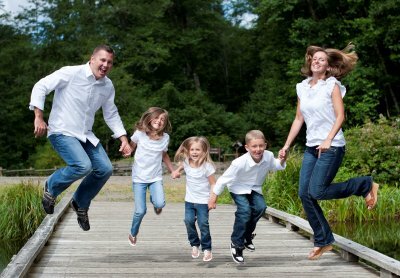 In 2005 Dr. Cy, along with his wife Kim and family, moved back home to Grays Harbor where he opened Dohrmann Family Chiropractic in Aberdeen. Dr. Cy believes that Health and Healing comes from Within. He believes the main reason we suffer from so many health issues is that we take an "Outside-In" approach to our health and rely on too many drugs and surgeries for crisis care. Dr. Cy's vision is to empower and educate the great people of Grays Harbor to take a "Pro-active" approach to their personal Health. He specializes in creating Health Development Plans for individuals and families. He emphasizes education and information as part of a successful care plan. Care plans may include a combination of Chiropractic Adjustments, Exercise strategies, In-office Rehabilitation, Diet and Nutrition advice and products, Weight Loss and Detoxification Protocols, as well as other products. Dr. Cy has created an office atmosphere that promotes happiness and healing. He has a loving staff that has the same vision and would be excited to help you reach your health goals!